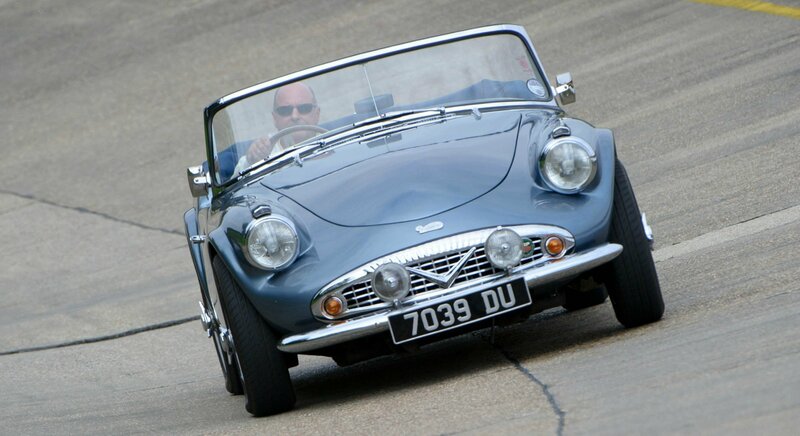 The Daimler SP250 Owners Club is one of three clubs shortlisted for the National Car Club Awards, in the Best Car Club Contribution to Charity section, at the NEC Restoration Show on 23rd March. WE WON!!! Photos on the Gallery page. The club operates on a subscription free basis and relies on the help and generosity of SP250 owners around the world. The site is for all owners whether current, past or future, together with enthusiasts of the marque. The forum is a global platform allowing SP250 owners and fans to connect. 1. To promote the SP250 by supplying information, mainly on the website, but also organising a presence where possible at various classic car shows around the world. There are several other SP250 clubs and groups around the world with whom we work. 2. Research, helping to provide a documented record of as many surviving SP250s as possible. We are in a position to help owners with informal queries on their cars, and sometimes the car’s history. WE NOW HAVE THE FULL OR PARTIAL HISTORY OF 1659 CARS OF THE TOTAL OF 2656 BUILT. We can increase this number with your help. It is important to note that we are in association with the Daimler & Lanchester Owners’ Club (DLOC). At last count, it is estimated that approximately 350 DLOC members are SP250 owners and we have 700+ SP250 owners registered in pasSPort. We therefore urge SP250 owners to join the DLOC. For details click on the links page.